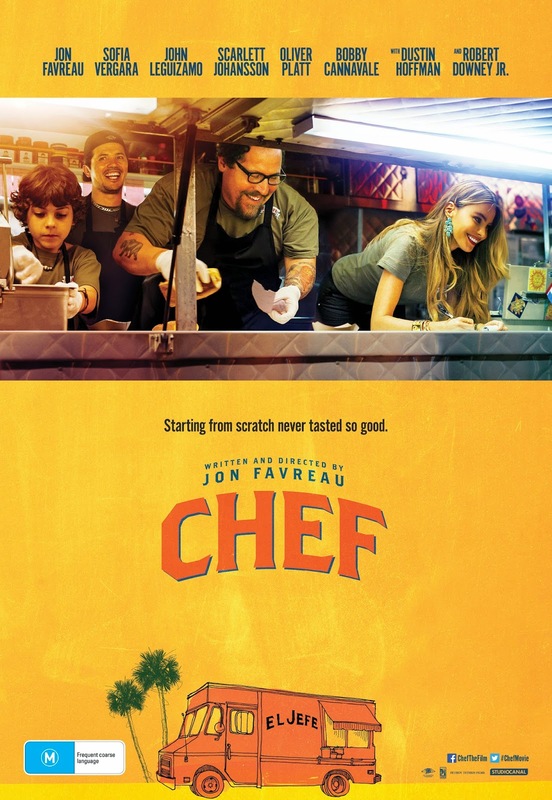 'Chef' is the new movie starring Sofia Vergara, Robert Downey Jr, Scarlett Johansson and Jon Favreau. This tasty film is being served up in cinemas May 8. The plot: when temperamental Carl Casper (Favreau) falls from grace in the culinary world, he agrees to accompany his ex-wife Inzez (Vergara) and son to Miami to escape bad publicity after a public argument with a food critic. His passion for cooking returns and an opportunity to start up a food truck business presents itself, and Carl begins to re-establish his artistic self and reconnect with his family.